It's 23:03 in Cheyenne, USA right now. Old Control Tower A view from the Old Airport Control Tower in Cheyenne, capital city of Wyoming. Cheyenne, Wyoming: Cheyenne North - Traffic and Weather, 0 miles away. 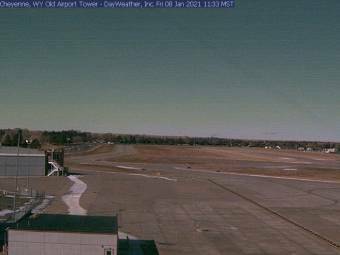 Cheyenne, Wyoming: Cheyenne South POE - Traffic and Weather, 0 miles away. Cheyenne, Wyoming: College Drive - Traffic and Weather, 0 miles away. Cheyenne, Wyoming: MP 353.0 - Traffic and Weather, 0 miles away. Cheyenne, Wyoming: Roundtop - Traffic and Weather, 0 miles away. Cheyenne, Wyoming: Whitaker - Traffic and Weather, 0 miles away. Cheyenne, Wyoming: Wyo Hill - Traffic and Weather, 0 miles away. Granite, Wyoming: Harriman - Traffic and Weather, 12.7 miles away.